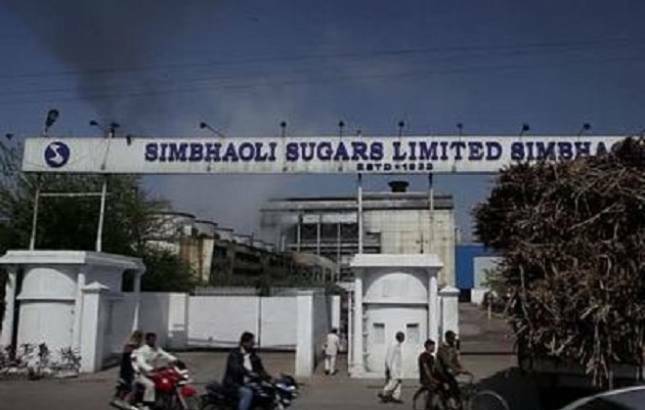 A case against Simbhaoli Sugars Ltd has been registered by CBI in connection with an alleged loan default case to the tune of Rs 97 crore, PTI reported while quoting officials. The CBI has registered a case against Simbhaoli Sugars Limited, its Chairman Gurmit Singh Mann, Deputy Managing Director Gurpal Singh and others in connection with an alleged bank loan fraud of Rs 97.85 crore. The company's Chief Executive Officer G S C Rao, CFO Sanjay Tapriya, Executive Director Gursimran Kaur Mann and five non-executive directors have also been booked by the agency. The CBI today carried out searches at eight premises including residences of the directors, factory, corporate office and registered office of the company in Delhi, Hapur and Noida, CBI spokesperson Abhishek Dayal said. The second loan was declared NPA on November 29, 2016, nearly 20 days after scrapping of Rs 1,000 and old Rs 500 notes was announced, according to the CBI FIR. The bank adjusted the total liability of Rs 112.94 crore towards the company by way of deposit of the new corporate loan.? "The corporate loan, too, turned NPA on November 29, 2016," Dayal said.